You will need Android Studio 3+ and virtualenv installed on your machine. Basic knowledge of Android development is required. The web has become so dynamic that it's weird to have to refresh anything anymore. We expect instant feedback from whatever application we are using and whatever action we are taking on the application. Polls adopt realtime technologies to give the owners live updates. This has become a major feature in top social media platforms and it is most essential when you need to perform quick surveys. Popular services like Twitter have adopted polls as a part of their services and it works well to gather user sentiments and thoughts. Android Studio. Version >= 3.x is recommended. Download here. Flask - you will be guided on how to install it in the post. undefined installed on your machine. Introductory knowledge of Kotlin. Here are some resources. Pusher Beams and Pusher Channels instance. Create a new project and follow the wizard to set it up. Name your app RealtimePolls. Enter your company‘s domain name. The company domain affects the package name. We will set the domain to com.example and the package name to com.example.realtimepolls. Choose your minimum SDK. API 19 (Android 4.4) is just fine. Continue with the EmptyActivity template chosen for you, and finish the wizard. Let’s stop here for now and set up our Pusher Beams and Channels application. 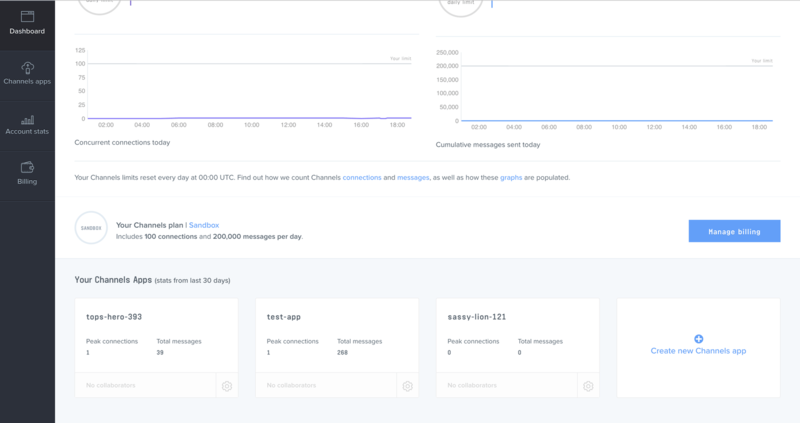 Create a new Channels app. You can easily do this by clicking the big Create new Channels app card at the bottom right. When you create a new app, you are provided with keys. Keep them safe as you will soon need them. 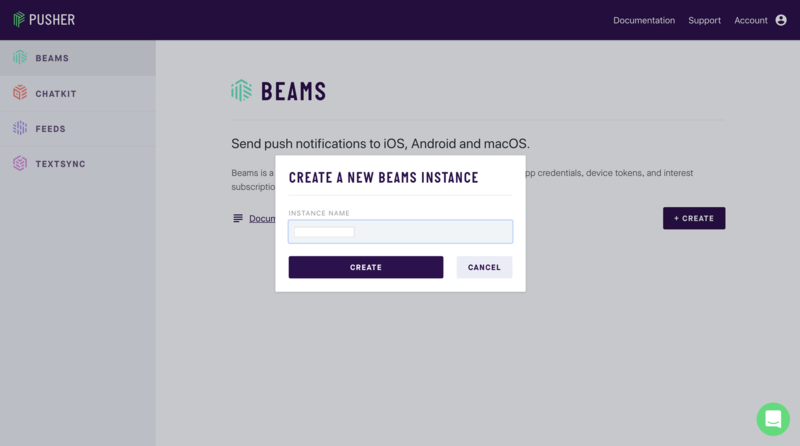 Before you can start using Beams, you need an FCM key and a google-services file because Beams relies on Firebase. Go to your Firebase console and create a new project. When you get to the console, click the Add project card to initialize the app creation wizard. Add the name of your project. Read and accept the terms of conditions. After this, you will be directed to the project overview screen. Choose the Add Firebase to your Android app option. The next screen will require the package name of your app. An easy way to get the package name of your app is from your AndroidManifest.xml file. Check the <manifest> tag and copy the value of the package attribute. 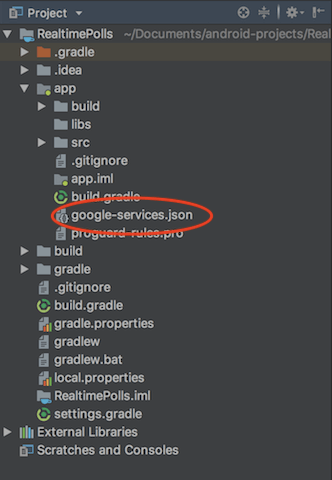 Another place you can find this is your app-module build.gradle file. Look out for the applicationId value. When you enter the package name and click Register app. Next, download your google-services.json file. After you have downloaded the file, you can skip the rest of the process. Add the downloaded file to the app folder of your app RealtimePolls/app. Next, go to your Firebase project settings, under the Cloud messaging tab, copy your server key. Next, log in to the new Pusher dashboard, in here we will create a Pusher Beams instance. You should sign up if you don’t have an account yet. Click on the Beams button on the sidebar then click Create, this will launch a pop up to Create a new Beams instance and give it a name. The next screen requires the FCM key you copied earlier. 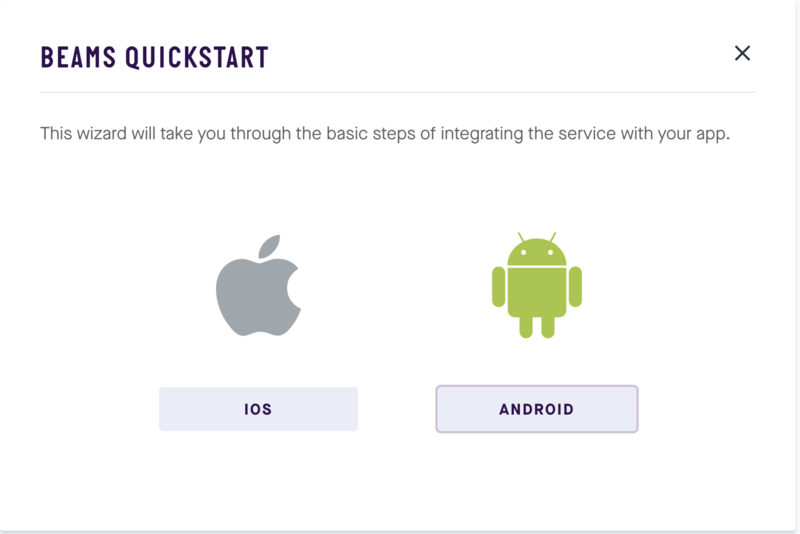 After you add the FCM key, you can exit the quickstart guide. After adding the dependencies, sync your Gradle files so that the dependencies are imported. The method onMessageReceived is called when a push notification is received on the device. The message received is then used to display a notification for the user. This interface contains the endpoints to be accessed during the course of this tutorial. There are two endpoints, the first one is to get the question and options from the server while the second is to send the option selected by the user to the server. The layout contains radio buttons with a progress bar below each of them. The progress bar will give a visual feedback of the vote count. Above, the class variables apiService and tag are declared. The first is to be used to make API calls to the local server while the second will be used for logging. In the onCreate method, there are some other custom methods called. Let’s create them. This method makes a network call to the server to get the poll question and options and populate the questions and options to the layout. Replace the PUSHER_KEY_* placeholders with the keys from your Pusher Channels dashboard. This method subscribes to the polls channel and listens to the vote event. Here, what is expected from the Pusher event is the score in percent of each option of the poll. The results are then populated to their respective progress-bars on the UI thread. This method above initializes Pusher Beams and subscribes to the polls-update event. Replace PUSHER_BEAMS_INSTANCE_ID with the instance ID from your Beams dashboard. This method above contains the click listener added to the vote button. The user must choose an option for the vote to be recorded. Based on the choice of the user, a unique ID is sent to the server to update the poll and trigger a Pusher event. That’s all for the Android application. Let’s build a simple Python backend. PS C:\path\to\app> $env:FLASK_APP = "app.py"
Replace the PUSHER_APP_* keys with the credentials from your Pusher dashboard. This is the only file needed for your Flask application. This snippet contains two endpoints to send out the poll question and to give current results. In this post, you have learned briefly about Flask and how to use it to develop RESTful APIs. You have also explored Pusher’s realtime technologies both on the client and server side. Feel free to check out the final GitHub repo and play around with the application.